Rice, SOY SAUCE, sugar, garlic, onion, palm oil, tapioca, chili, paprika, oregano. May contain traces of GLUTEN, PEANUTS and NUTS. The Italian-Mediterranean cuisine is considered one of the worlds most diverse. Who could not love a cuisine in which is common to serve before de main course even smaller, lighter dishes and prepared with a great love? Each of them perfectly matched and refined with many fresh herbs. Each a small work of art, made each one with love. So it is Rice Crackers with our FRIED oregano. 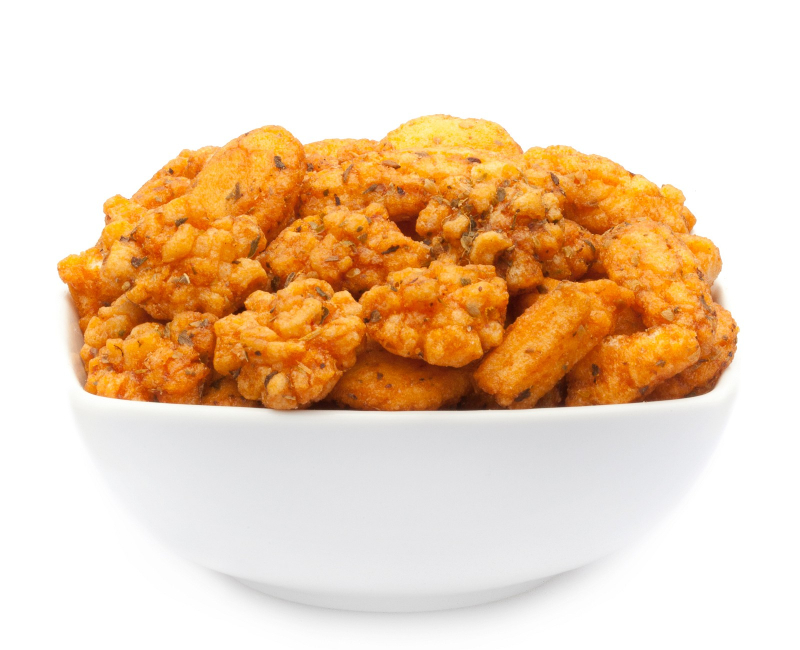 Our FRIED OREGANO with the popular spicy Japanese Soy Sauce are finished with a Mediterranean spice mixture. Given the perfect crunch - it's like a little vacation on the Sardinia Island,in one of these pubs on the harbor, Chiling at sunset, but when the sun still feels like burning on the skin and you can enjoy the view of the sparkling waters. This small fine Rice Cracker offers a variety of consuming options. In between, he is for a growling stomach as small, but as fine, as a full snack. With a glass of wine and a fruity Caprese Salat with fine balsamic dressing, he could serve for an enchanting match every evening. The delicate aromas of oregano, one of the most typical spices of the Mediterranean cuisine, giving our FRIED OREGANO the flair of a sunset on a terrace in the Mediterranean.He is a wonderful companion for spending free time enjoyed with friends or even alone.